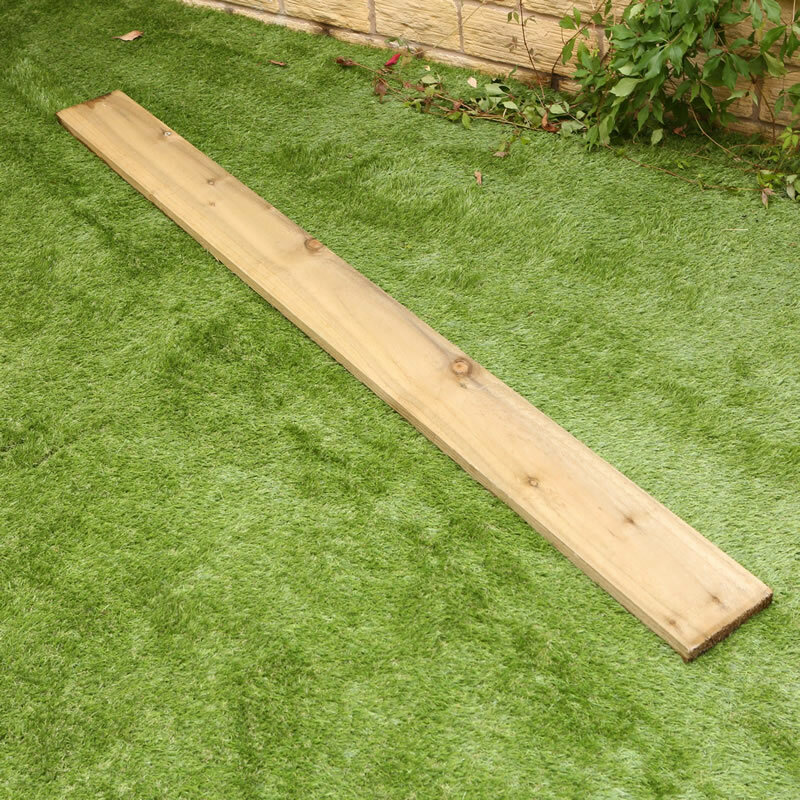 This timber measures 22mm x 150mm x 1.8m long and are ideal for making Raised Beds . Available to buy as a single unit or in units of 2 or 4. Simply select the No. of Units and enter your required quantity. Rated 4.9 out of 5 based on 38 reviews. Good value. Good quality and ideal for making raised veg beds in my garden. A few boards were warped but probably to be expected. Really good quality, treated wood, perfect in fact. The product is as it was described and arrived well protected against the possibility of damage. Perfect. Worked as required.What more can one say? Have made 6 raised beds. All fit for purpose and delivery was very quick. Excellent product and service. Will definitely buy more from this company and I happily recommend them to everyone. Many thanks guys. Good value - just what I needed for building my raised beds which are looking good! Product was as described, great price and the delivery and communication was perfect. Effortless online shopping experience. Simon, Oxfordshire. Excellent product i will be purchasing again very soon,thank you. Bought to make raised beds, which look good. I don't know how it will perform once filled with soil, but it looks good for now. Good price. As described. Sturdy wood frame. Very pleased. as described on website. happy with the purchase. Ordered over the weekend, called by a lovely lady on the Monday, Delivered on Friday. Fantastic service, thank you from the Houlbrookes. The purpose was to build two raised beds to introduce grandchildren to vegetable growing. These timbers perfect for the project. The wood was just right for my requirements, and was reasonably priced. 55 out of 100 were okay, 26 of the 45 were usable where not seen, remaining 19 are not worth reviewing, but what can you say for the price. Best customer service I've received in a long time. Not only was the product the best value I could find, I had a phone call as well as email to confirm order/delivery and it arrived the next day - brilliant. Very happy with my purchase, good quality timber, delivered promptly in good condition and at a fair price. strong, robust material. Allows you to make your own raised bed to size of your own choice.